The outcome of battles in Albion Online depends on many factors in the open world. But in some special situations, a single engage or counter can change the flow of the entire battle when both groups are just staring at each other from a distance. To create opportunity for their team, players are eager to create highly specialized builds. 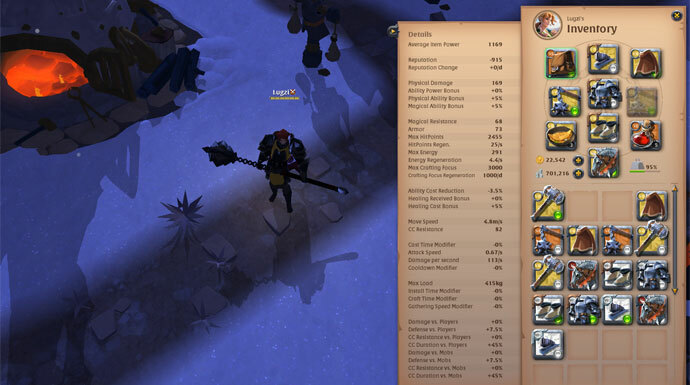 Albion Online player, Lugzi shared a powerful creation of his Flailing Knight build. "Being a tank helps me to get a great overview and a good grasp of the overall situation on the battlefield and allows me not only to call shots but to set the tempo of the fight by myself as well." This special creation of Flailing Knight is a build around that positioning that would be effective against all kinds of enemies, including groups of experienced veterans as well. 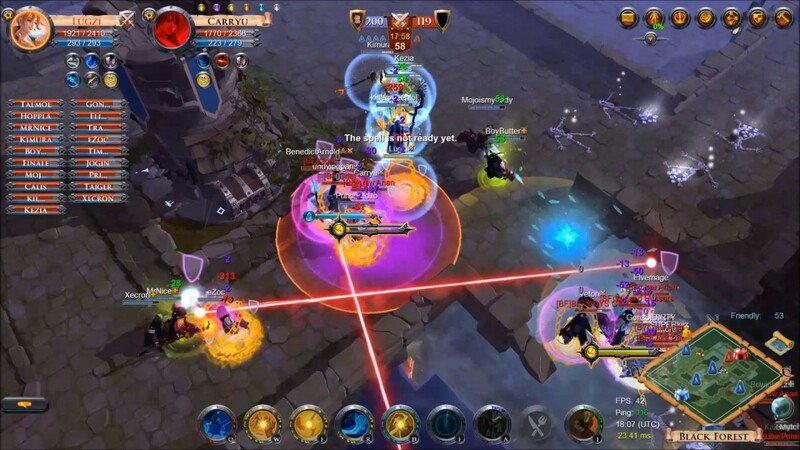 Combining that huge health pool with the build’s crowd control and defensive abilities does not only allows it to dive deep into the enemies’ raid but to come back out alive as well. Due to the Flailing Knight won't deal damage on its own usually, you rely heavily on your team's ability to capitalize on your engages. You will need area-of-effect damage dealers in your back that start roasting your opponents the moment you have caught them. Combining your area crowd control with their area damage allows you to wipe out entire groups in a single and decisive strike. Defensive Slam - Deals physical damage to an enemy, while increasing Armor and Magic Resist for you and your allies in a 4 meter radius around you for a few seconds. Can affect up to 5 allies. Always use Defensive Slam to increase your total damage mitigation and keep in mind that, thanks to your flail’s life leech, you can heal yourself. Even if it is just a little, it will help you stay alive longer. Pull Area (Tier 5+) - After a short delay, Pull Area pulls all enemies in a 7 meter radius around you towards your position and creates additional threat on enemies hit. In combination with Delayed Teleport and the bigger area of effect from Pull Area, you can catch a lot of your opponents in a single sweep, however, the more enemies you pull and root, the more damage you will receive once they realized what happened to them! Root Prison - Roots you and your enemies around you for a few seconds while rendering you immune to hostile crowd control effects. After the channel ends, enemies will stay rooted for a short amount of time. The channeling also creates threat on creatures hit. 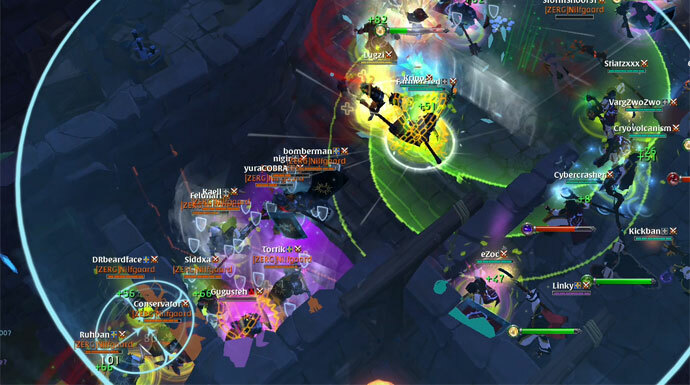 Root Prison is one of the strongest area crowd control abilities in Albion and gives your team enough time to follow up on your engage. Passive: Life Leech - Every normal hit restores some health. For your main combo you chain Delayed Teleport together with Pull Area and Root Prison. Directly after you have used Delayed Teleport, start casting Pull Area. This way your enemies have little to no time to react to your sudden appearance. Once you have pulled together your opponents, use Root Prison to bind them in place for your team to follow up on your engage. Block (Tier 4+) - You become immune to all enemy spells for a few seconds. You can keep moving during the block, but you cannot attack or use other abilities. Block is your personal life saver as it allows you to get out of any dangerous situation and back into your own party after you have finished your combo. Block can also be used to get through enemies' wind- or firewalls or hostile crowd control effects. Passive: Toughness - Reduces incoming damage. Don't use Block directly after you have used Delayed Teleport. You have a lot of health and damage mitigation. Constantly assess the situation, your position, and your enemies and wait as long as possible before using Block. Wind Wall - Conjures a Wind Wall in front of you for a few seconds, which knocks back all enemies hit by it. After Root Prison, you have to make a choice on how to use Wind Wall. If your team was able to follow your engage and your damage dealers are in position, use Wind Wall to push your enemies in the direction of your team. In case your opponents countered your engage or your team wasn’t able to close the deal, use Wind Wall to save yourself and your team by pushing the enemy away. Wind Wall is a versatile and powerful ability and can be used in both defensive and offensive plays. Blocking off a certain choke point, preventing your enemies from engaging your own party, or pushing the enemy into your damage dealers after you have engaged them are just a few basic examples of what you can do with it. Delayed Teleport - Choose a ground target within 15 meters. One second after activation, you will be teleported to the desired position. Your cast or channel will not be interrupted by the teleport. However, it is not possible to teleport through obstacles. While Delayed Teleport is your main combo opener, the cooldown is much shorter than the rest of your abilities so don’t hesitate to use it as often as possible. Passive: Efficiency (Tier 6+) - Reduces all energy costs. Omelette - Improves your casting speed and cooldown reduction. While Stew is another option for this build, the cooldown reduction on your crowd control, your defensive abilities, and your Delayed Teleport is much stronger than a mere health increase. A single good timed teleport or Block can prevent by far more damage. Healing Potion - Regenerates a percentage of your total health over time. With your huge damage mitigation in combination with the Focus Fire debuff, you will receive a lot of effective health back by using Healing Potions. This will help to survive on your own until you’re back in range of your healers. 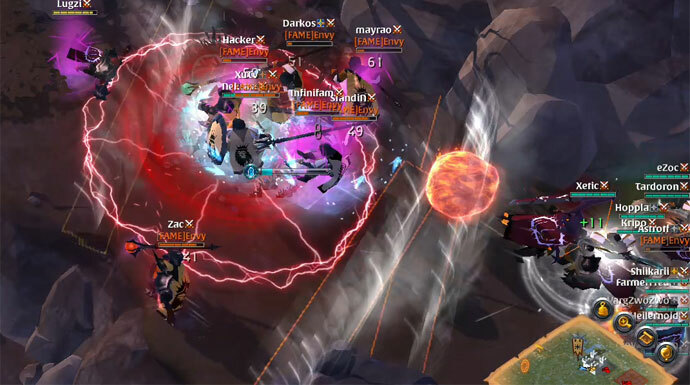 Have you created a more effective way to engage enemy zergs or a better option to build a powerful Flailing Knight in Albion Online? Tell us and stay tuned for more building tips and tricks.